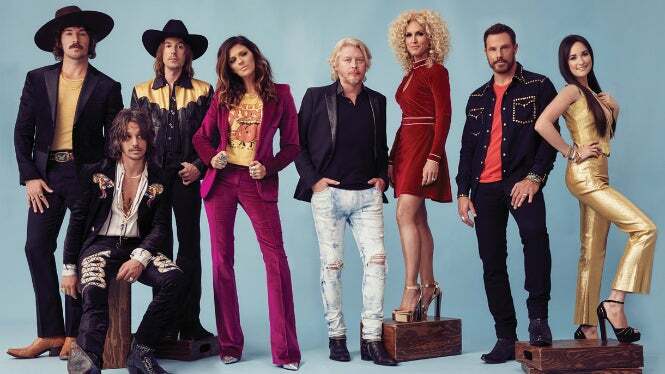 After launching a historic sold-out year-long residency at Nashville’s famed Ryman Auditorium, Grammy Award-winning vocal group Little Big Town today announced they will bring their critically-acclaimed harmonies to arenas nationwide starting Spring 2018 with The Breakers Tour. The highly-anticipated multi-city run begins February 8th at Chesapeake Energy Arena Oklahoma City and will visit 26 markets, including stops in Austin, Atlanta, Minneapolis, Washington, D.C. and New York City’s Radio City Music Hall. Additional stops will be announced at a later date. For the first-ever preview of The Breakers Tour, tune in to “The Tonight Show With Jimmy Fallon” tonight (9/20) for a very special performance by Little Big Town, Kacey Musgraves, and Midland. Tickets for The Breakers Tour go on-sale everywhere Friday, September 22nd at 10am local time. Two enhanced ticket experiences, the ‘Happy People’ and ‘The Breaker’ experiences, will be offered throughout the tour. Additional experiences include a meet & greet with Little Big Town, a Q&A session, exclusive merchandise, and more. 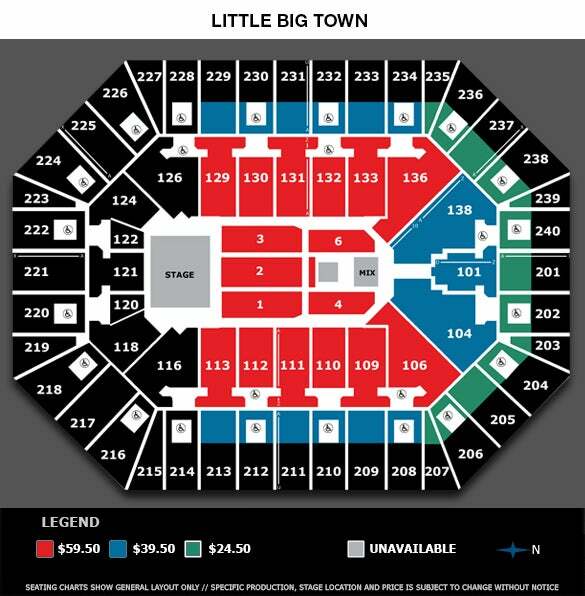 To purchase tickets and for more information on all ticket experiences, visit www.LittleBigTown.com. One of the most well-respected and beloved entertainers in music today, the genre-defying group has “expanded their audience beyond Tennessee" (USA Today) as well as “the definition of country music from the inside” (Newsday) since first entering the music scene more than 18 years ago. Their critically acclaimed album, The Breaker, as well as their recent headlining Ryman Residency, “Little Big Town at the Mother Church,” have garnered the reigning CMA and ACM Vocal Group of the Year praise for their four-part harmonies and progressive sound that “seems to get even better with time" (Forbes). Hailed as a “21st century revival of Fleetwood Mac” (Goldderby) the group has produced hits such as "Boondocks," "Bring It On Home," "Good As Gone," and "Little White Church," as well as their #1 singles "Pontoon," "Tornado," "Day Drinking," and most recently, the history-making best-selling country single of 2015, "Girl Crush,” and this year’s multi-week #1 single, "Better Man." Join us for a pre-show party in the Lexus Courtside club prior to the show! The Spotlight Experience Package includes free parking, access to our Lexus Courtside Club, complimentary beer, wine & appetizers & a lower level reserved ticket! Please contact our Premium Sales team at 612-673-8344 or by e-mail to reserve. Already have a ticket? Upgrade online here.